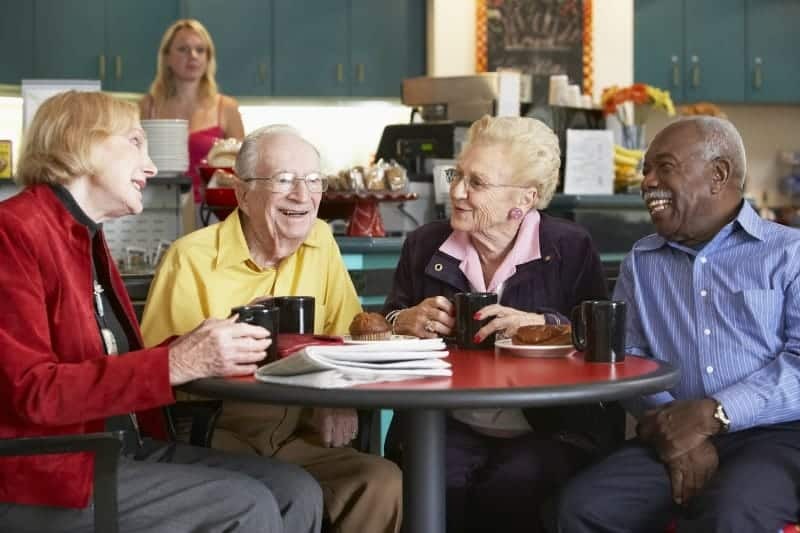 In Erie County, New York alone there are hundreds of senior living communities (CLICK HERE for a full list of independent senior living communities). 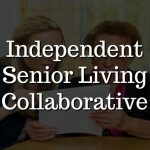 If living in one’s home is not an option, independent senior living apartments are a great choice and highly recommended. You receive the benefits of management, community, and security and all of the benefits of being independent. 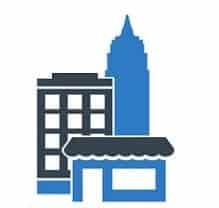 According to documentation produced at the 2018 Fall Legislative Conference of the Association on Aging in New York, New York ranks fourth in the nation in the number of adults age 60 and over. ‘And by 2030, 5.2 million people in the state will be 60 and older, the state Office for the Aging says. Of that group, 1.81 million New Yorkers will be 75 or older,’ says Carl Campanile of the New York Post. (1) With this increase in the old and old old population in New York, support communities and senior living apartments are crucial and needed. Unfortunately, with a condensed community of aging individuals comes inevitable age-related declines thereby creating the need for management/ administration to put programs and systems in place to prevent, monitor, and proactively treat avoidable declines. According to the National Council on Aging (NCOA), ‘falls are the leading cause of fatal injury and the most common cause of nonfatal trauma-related hospital admissions among older adults. Additionally, every 11 seconds, an older adult is treated in the emergency room for a fall; every 19 minutes, an older adult dies from a fall’. 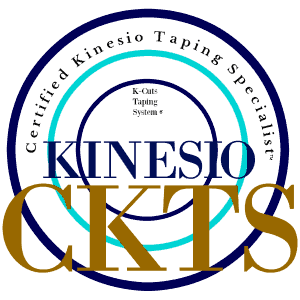 (2) Falls are just one aspect requiring attention. According to the New York State Alzheimer’s Association, “There are currently 400,00 New Yorkers with Alzheimer’s disease. In 2025, 460,000 New Yorkers aged 65 and older will be living with this disease which is a 15% increase”(3) . Chronic pain among the elderly is also an extremely under addressed area potentially impact ones ability to remain living in senior apartments or communities throughout the aging process. National Institute of Health released an article entitled, Seniors and Chronic Pain stating, “Research has shown that 50 percent of older adults who live on their own and 75-85 percent of the elderly in care facilities suffer from chronic pain. Yet, pain among older adults is largely under treated, with serious health consequences, such as depression, anxiety, decreased mobility, social isolation, poor sleep, and related health risks” (4). 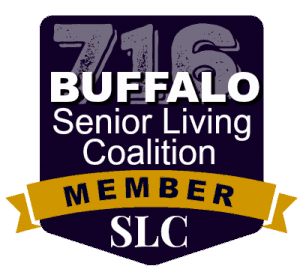 With all of these health concerns, it is within the best interest of every senior living community in WNY to take proactive measures to protect the quality of life of their residents. 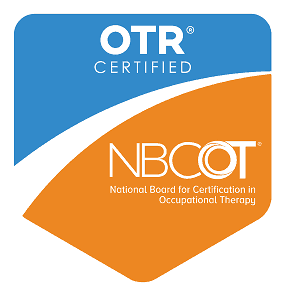 Occupational therapists are uniquely trained and postured to consult and collaborate with senior living communities, both residents and management. 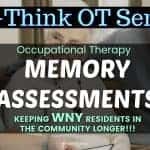 Trained in home assessments, adaptive equipment, ADA guidelines, efficiency, economical approach to intervention, physical rehabilitation, neurological conditions and ailments, alternative pain management techniques, balance and fall prevention, etc., occupational therapy can promote wellness among all residents within a senior apartment environment as well as provide rehabilitation after a sickness, trauma, or ailment. If, after evaluation, an individual requires a different approach or specialist, occupational therapy can provide a referral for services. It is unfortunate when an elderly individual is admitted into sub-acute care directly from a senior living apartment due to failure to thrive or severe de-conditioning that went unnoticed because it happened little by little over time. 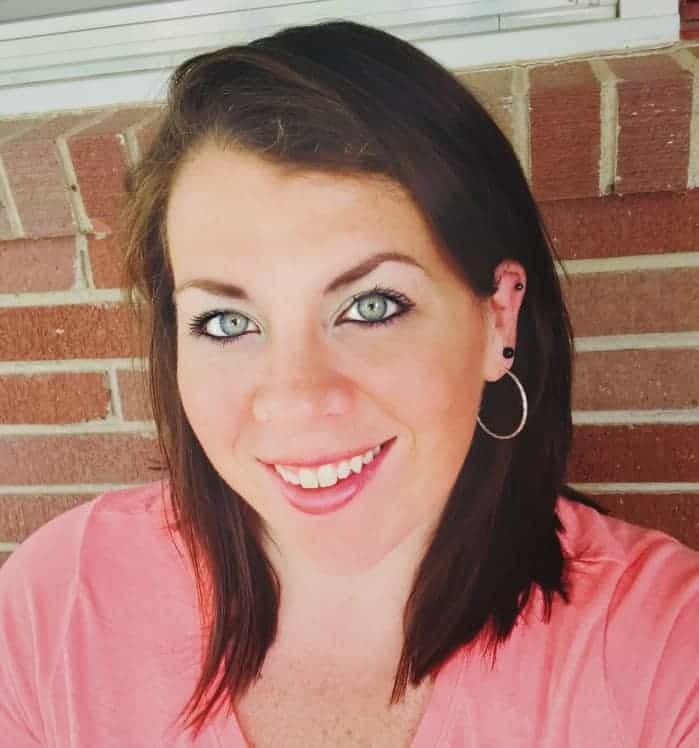 Because it is difficult for anyone to keep track of how the person was functioning at a given time, it is extremely difficult to compare it to how the person is currently functioning. It is this comparison that keeps individuals in their apartments and homes for as long as possible because it allows for early identification of needs. Occupational therapy is the optimal solution to this common problem. 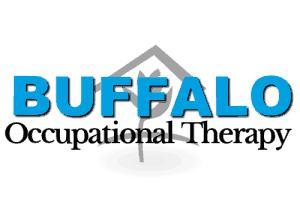 Occupational therapists create occupational and functional profiles during an evaluation in order to best determine treatment or referral needs. If the ailment being evaluated is a memory deficit or staging for Dementia/Alzheimer’s, occupational therapy can also offer a full cognitive profile to be forwarded to one’s primary care physician. 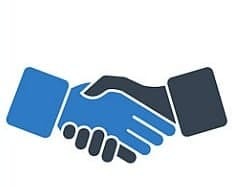 Building relationships and establishing a connection is the number one goal of an occupational therapist. 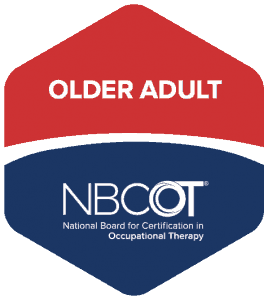 This relationship, along with a holistic approach to evaluation and treatment, allows an occupational therapist to remain with someone throughout the aging process ensuring maintenance of physical function and balance as well as optimal cognitive functioning and memory. 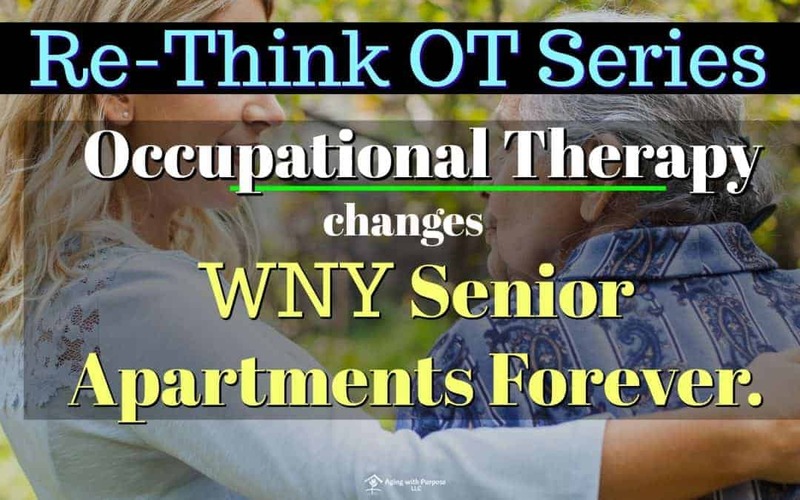 A collaboration between occupational therapy and senior apartments goes a long way in maximizing health, wellness, and quality of life among residents as well as potentially limiting the number of hospital and emergency room visits the resident’s experience each year. 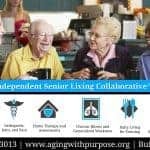 Why is the Senior Living Collaborative with OT so beneficial?